← Chicken Broth and Chocolate-covered Mints ??? Nice to meet you today on Facebook through the Hope*Writers group. I am Linda Jane! and yes, Plain Jane was always thrown in there when I was a child. I am named after my mother and grandmother. My granddaughter (who is six) is Jane, so perhaps the name is making a return. I loved your writing about the lilacs. 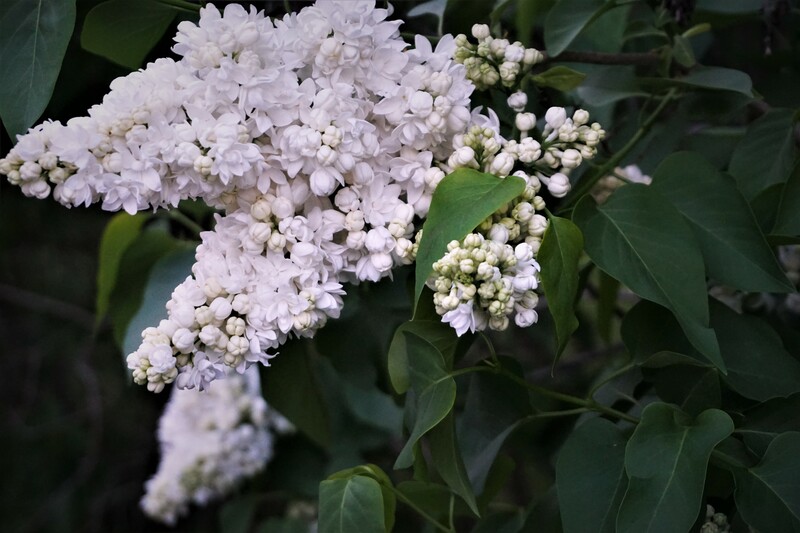 I too have a fondness for lilacs and have photographed them and used them for meditation. Thanks for sharing today. Great to meet you. From what you posted in the Hope*Writers group, you do not sound at all like a “plain Jane”. I received your FB message and will reply to it.Thanks so much for reading my blog post and commenting on it. I feel encouraged. I Would love to read your meditation on lilacs. So thought provoking. I’ve got to do a lot of thinking and praying to find out what I need to let go of so I can grow. Thank you for your gentle encouragement and thoughtful enlightenment. Thank you for your friendship, consistent affirmation, and encouragement. You are a blessing to me, Debbie! Thank you for the photo and devotional regarding my favorite flowers! (our state flower too). We rode around the other day looking at all the blooming lilac bushes and trees in town- my favorite are the old, large bushes that inhabit some of the local farms! My own smaller bushes are wonderfully fragrant this AM! God, our vinedresser makes all things new..this does involve surrender, to allow the new to come. 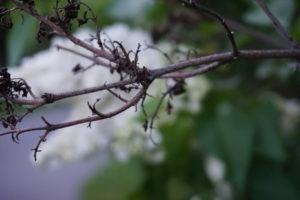 Perhaps I better try pruning my lilacs as well! I would love to see the lilacs in your neighborhood, Donna, and talk more with you about the pruning process that our God does. I’m so thankful that his pruning shears are wielded with love as well as wisdom. It’s hard to put my memories of my old life behind me. But trying real hard.Thank you. Thanks for sharing this, Cori. I can relate to your struggle. May God reveal his love to you in such a way that you will have the grace and power to let go of those old memories.